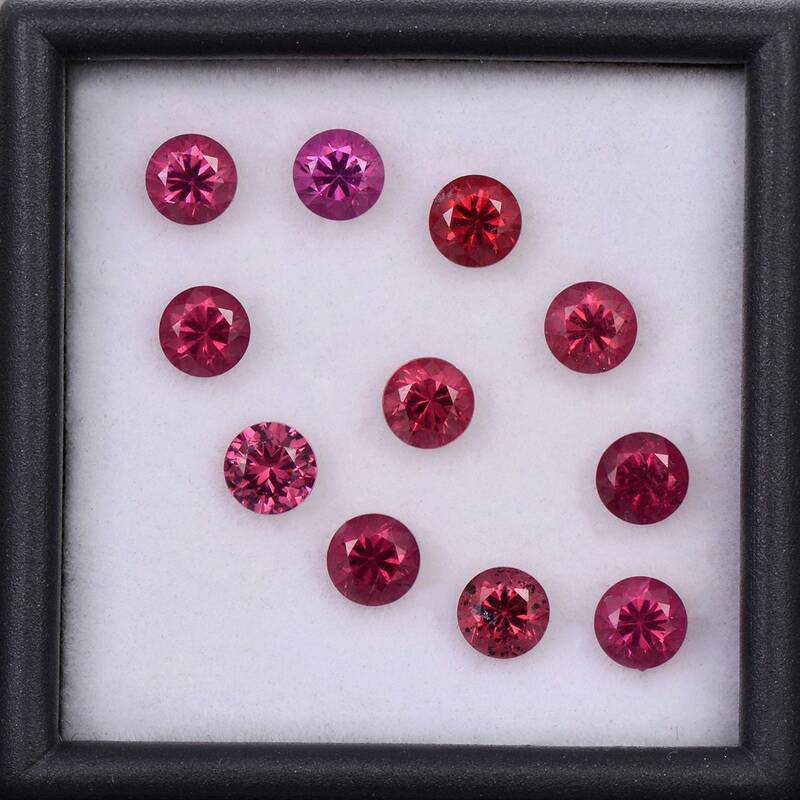 This is an excellent set of Rhodolite Garnets! Rhodolite is a chemical hybrid of Pyrope and Almandine Garnets. 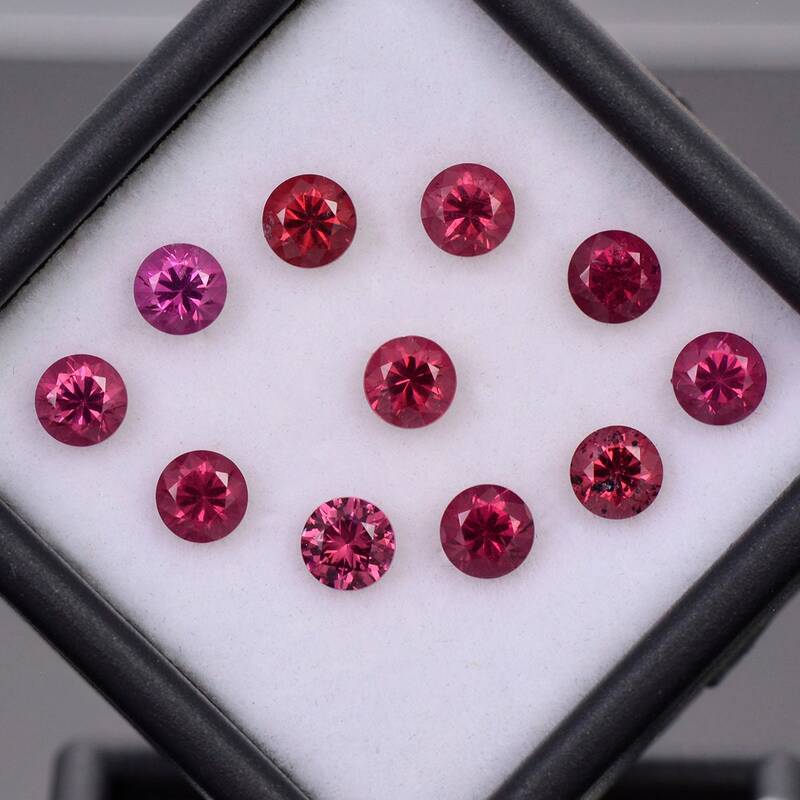 They are all calibrated 4 mm rounds which is great for accents, earrings stones or an impressive channel set. 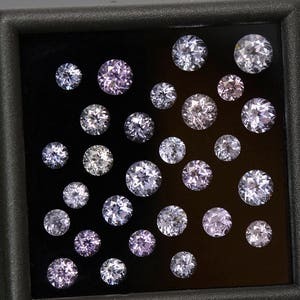 There are 11 stones with a total weight of over 4 carats! The cranberry red color these have is just breathtaking. The stones have great clarity and they all glitter brightly. 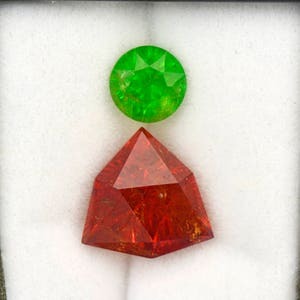 In hand these stones are dazzling and will make beautiful pieces of jewelry! Enjoy! 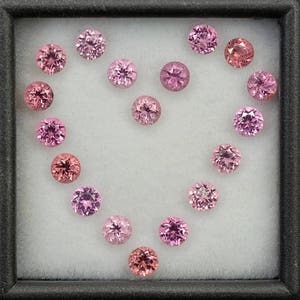 Beautiful Pink Spinel Gemstone Set from Tanzania 3.63 tcw. 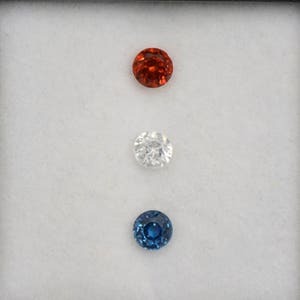 Pretty Red White and Blue Sapphire Gemstone Set 0.81 tcw. Lovely Silver Purple Spinel Gemstone Set from Tanzania 6.06 tcw.